 Péter L. Erdős, Leo van Iersel, Mark Jones. Not all phylogenetic networks are leaf-reconstructible. arXiv:1803.03197 [math.CO] (2018). Leo van Iersel, Steven Kelk, Georgios Stamoulis, Leen Stougie and Olivier Boes. On unrooted and root-uncertain variants of several well-known phylogenetic network problems. Algorithmica, 80 (11): 2993–3022 (2018). Martijn van Ee, Leo van Iersel, Teun Janssen and Rene Sitters. A Priori TSP in the Scenario Model. Discrete Applied Mathematics, 250:313-341 (2018). (postprint) Preliminary version in WAOA2016, LNCS 10138: 183-196 (2017). Philippe Gambette, Leo van Iersel, Mark Jones, Manuel Lafond, Fabio Pardi and Celine Scornavacca. Rearrangement moves on rooted phylogenetic networks. 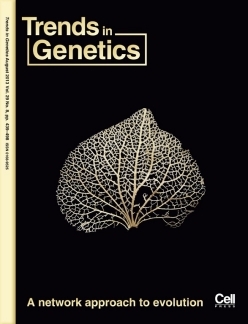 PLoS Computational Biology, 13(8):e1005611 (2017). Péter L. Erdős, Stephen G. Hartke, Leo van Iersel and István Miklós. Graph realizations constrained by skeleton graphs. The Electronic Journal of Combinatorics, 24 (2), #P2.47 (2017). Leo van Iersel, Vincent Moulton, Eveline de Swart and Taoyang Wu. Binets: fundamental building blocks for phylogenetic networks. Bulletin of Mathematical Biology, 79 (5): 1135–1154 (2017). Leo van Iersel, Steven Kelk and Celine Scornavacca, Kernelizations for the hybridization number problem on multiple nonbinary trees. Journal of Computer and System Sciences, 82(6): 1075–1089 (2016). (arXiv) Preliminary version in WG 2014. LNCS 8747, 299-311 (2014). Software: Treeduce. Steven Kelk, Leo van Iersel, Celine Scornavacca and Mathias Weller. Phylogenetic incongruence through the lens of Monadic Second Order logic. Journal of Graph Algorithms and Applications, 20(2): 189-215 (2016). Katharina Huber, Leo van Iersel, Vincent Moulton and Taoyang Wu. How much information is needed to infer reticulate evolutionary histories? 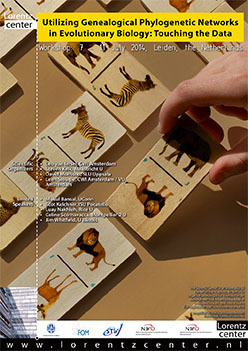 Systematic Biology, 64 (1): 102-111 (2015). Murray Patterson, Tobias Marschall, Nadia Pisanti, Leo van Iersel, Leen Stougie, Gunnar W. Klau and Alexander Schoenhuth, WhatsHap: Weighted Haplotype Assembly for Future-Generation Sequencing Reads. Journal of Computational Biology, 22 (6): 498-509 (2015). Preliminary version in proc. of RECOMB 2014. LNCS 8394, pp. 237-249 (2014). Leo van Iersel, Celine Scornavacca and Steven Kelk. Exact Reconciliation of undated trees. arXiv:1410.7004 [q-bio.PE] (2014). Celine Scornavacca, Leo van Iersel, Steven Kelk and David Bryant. The agreement problem for unrooted phylogenetic trees is FPT. Journal of Graph Algorithms and Applications, 18(3), pp. 385-392 (2014). Leo van Iersel, Steven Kelk, Nela Lekic and Leen Stougie, Approximation algorithms for nonbinary agreement forests, SIAM Journal on Discrete Mathematics, 28(1), pp. 49-66 (2014). (arXiv). Eric Bapteste, Leo van Iersel, Axel Janke, Scot Kelchner, Steven Kelk, James O. McInerney, David A. Morrison, Luay Nakhleh, Mike Steel, Leen Stougie and James Whitfield, Networks: expanding evolutionary thinking. Trends in Genetics, 29 (8), pp. 439–441 (2013). Kantarawee Khayhan et al., Geographically Structured Populations of Cryptococcus neoformans Variety grubii in Asia Correlate with HIV Status and Show a Clonal Population Structure. PLoS ONE, 8(9): e72222. doi:10.1371/journal.pone.0072222 (2013). Ferry Hagen et al., Ancient dispersal of the human fungal pathogen Cryptococcus gattii from the Amazon rainforest, PLoS ONE 8(8): e71148. doi:10.1371/journal.pone.0071148 (2013). Press release. Katharina Huber, Leo van Iersel, Steven Kelk and Radoslaw Suchecki, A Practical Algorithm for Reconstructing Level-1 Phylogenetic Networks, IEEE/ACM Transactions on Computational Biology and Bioinformatics, 8 (3), pp. 635-649 (2011). Leo van Iersel and Steven Kelk, Constructing the Simplest Possible Phylogenetic Network from Triplets, Algorithmica, 60, pp. 207-235 (2011). Preliminary verion in proc. of ISAAC 2008, LNCS 5369, pp. 472-483. Leo van Iersel, Charles Semple and Mike Steel, Quantifying the Extent of Lateral Gene Transfer Required to Avert a ‘Genome of Eden’, Bulletin of Mathematical Biology, 72(7), pp. 1783-1798 (2010). Leo van Iersel, Steven Kelk, Regula Rupp and Daniel Huson, Phylogenetic Networks Do not Need to Be Complex: Using Fewer Reticulations to Represent Conflicting Clusters, Bioinformatics, 26, pp. i124-i131 (2010) (proceedings of ISMB 2010). Leo van Iersel, Steven Kelk and Matthias Mnich, Uniqueness, Intractability and Exact Algorithms: Reflections on Level-k Phylogenetic Networks, Journal of Bioinformatics and Computational Biology, 7 (4), pp. 597-623 (2009). Leo van Iersel, Judith Keijsper, Steven Kelk, Leen Stougie, Ferry Hagen and Teun Boekhout, Constructing Level-2 Phylogenetic Networks from Triplets, IEEE/ACM Transactions on Computational Biology and Bioinformatics, 6 (4), pp. 667-681 (2009). Preliminary version in proc. of RECOMB 2008, LNBI 4955, pp. 450-462. 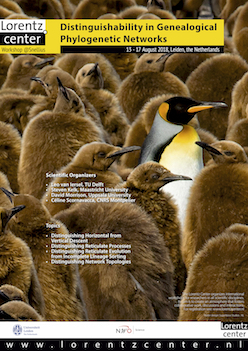 Leo van Iersel, Judith Keijsper, Steven Kelk and Leen Stougie, Shorelines of Islands of Tractability: Algorithms for Parsimony and Minimum Perfect Phylogeny Haplotyping Problems, IEEE/ACM Transactions on Computational Biology and Bioinformatics, 5 (2), pp. 301-312 (2008). Preliminary version in proc. of WABI 2006, LNCS 4175, pp. 80-91. Rudi Cilibrasi, Leo van Iersel, Steven Kelk and John Tromp, The Complexity of the Single Individual SNP Haplotyping Problem, Algorithmica, 49 (1), pp. 13-36 (2007). Preliminary version in proc. of WABI 2005, LNCS 3692, pp. 128-139. Leo van Iersel, Steven Kelk, Nela Lekic and Leen Stougie, A short note on exponential-time algorithms for hybridization number, arXiv:1312.1255 [q-bio.PE] (2013). 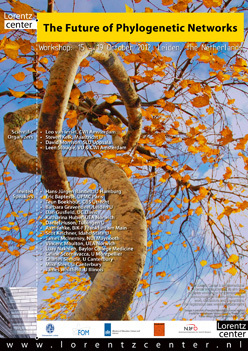 Leo van Iersel, Algorithms, Haplotypes and Phylogenetic Networks, Ph.D. Thesis, Eindhoven University of Technology, 2009 (pdf for viewing, pdf for printing).